As part of the ‘Virtue and Vice’ exhibition, which opened at Hardwick Hall in April 2013, Les Canards Chantants collaborated with the Centre for Renaissance and Early Modern Studies and the Arts and Humanities Research Council-funded project European Conversion Narratives, c.1550-1700 to bring the music of the Eglantine Table to life through live performance, a music video and a new performance edition. 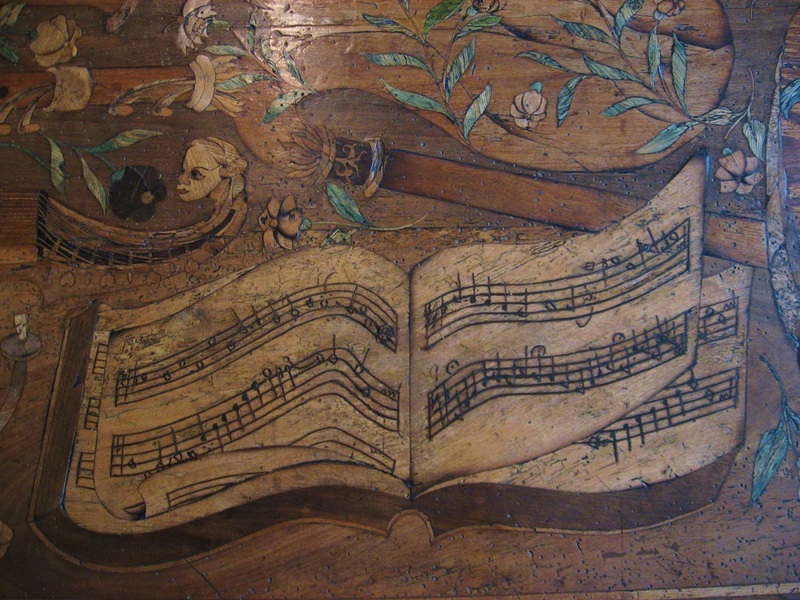 The Eglantine Table, given as a wedding gift to Bess of Hardwick in 1567, is a large Tudor-era oak table inlaid with intricate wooden designs depicting realistic Elizabethan musical instruments, several scrolls of sheet music, board games and playing cards, heraldic references, allegorical figures, and a border of eglantine (sweetbriar). The primary piece of music on the table is a devotional song for four voices by Thomas Tallis. The text, ‘Lamentation’ was first printed at the end of the 1562 edition of The whole booke of Psalms, translated into English verse by Thomas Sternhold and John Hopkins. According to the book’s authors, psalms and devotional songs were “very mete to be used of all sortes of people privately for their solace & comfort, laying apart all ungodly songes and ballades, which tende only to the nourishing of vyce, and corrupting of youth”. 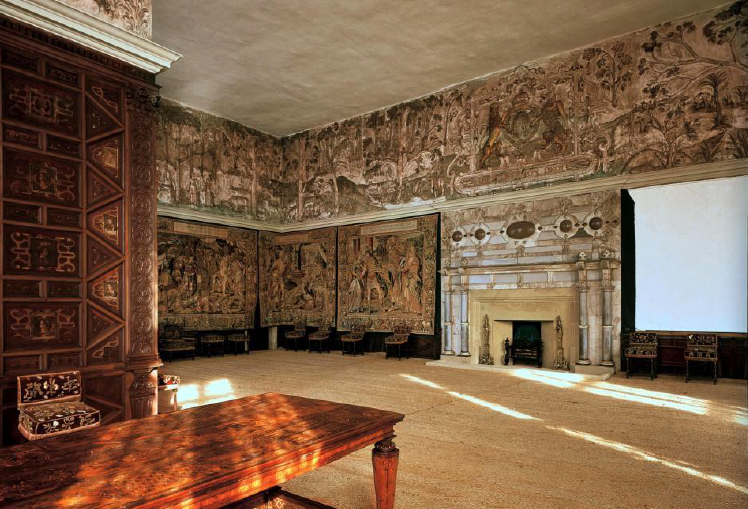 On Saturday, 13 April 2013, Les Canards Chantants traveled to Hardwick Hall to record the ‘Lamentation’ in the High Great Chamber where the table is on display, after which the ensemble spent the rest of the morning masquerading as a group of tourists and giving spontaneous performances, singing directly from the table itself. The event was filmed and the resulting footage was used to create a video, which is now a part of the exhibition at the Hall and on the National Trust website.